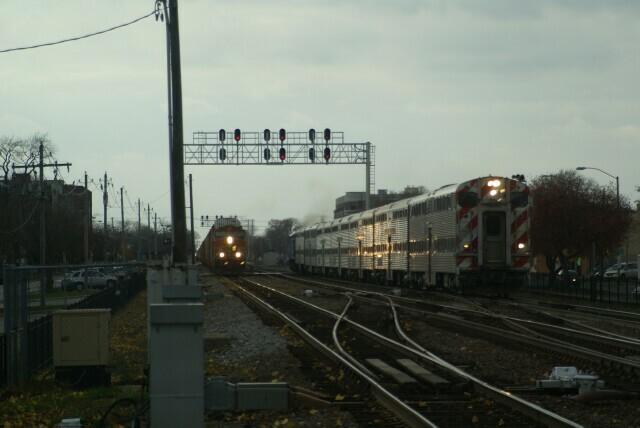 Well I said I would probably be doing some trainspotting while I was here in Chicago and I did. I met bjbuttons along the BNSF "Racetrack" and we spent over an hour photographing trains and yerfing about stuff. Hopefully we'll get together again next weekend and find another good hot spot. Here's a pic from today.